When Jamie Talbot suggested we skip Sihounakville in favour of lesser known Kep, and Rabbit Island, I was concerned. The first blog I read suggested the island was tiny, with hardly any people on it, and all it offered was cheap bungalows and a nice walk around the island. That’s exactly the point, he exclaimed! I slept on it though, and that was a good decision. 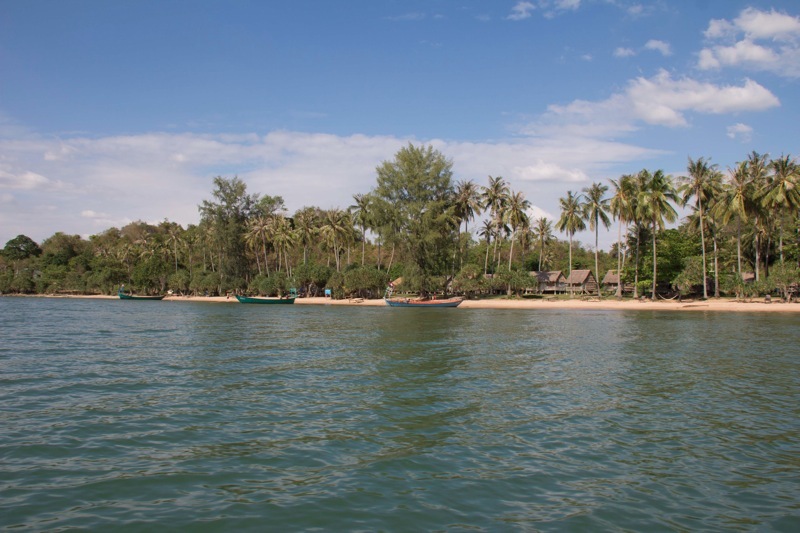 While Kep is small, possibly even smaller than anywhere else I’ve visited so far, it is a beautiful, relaxing and inexpensive spot right over the border in Cambodia. 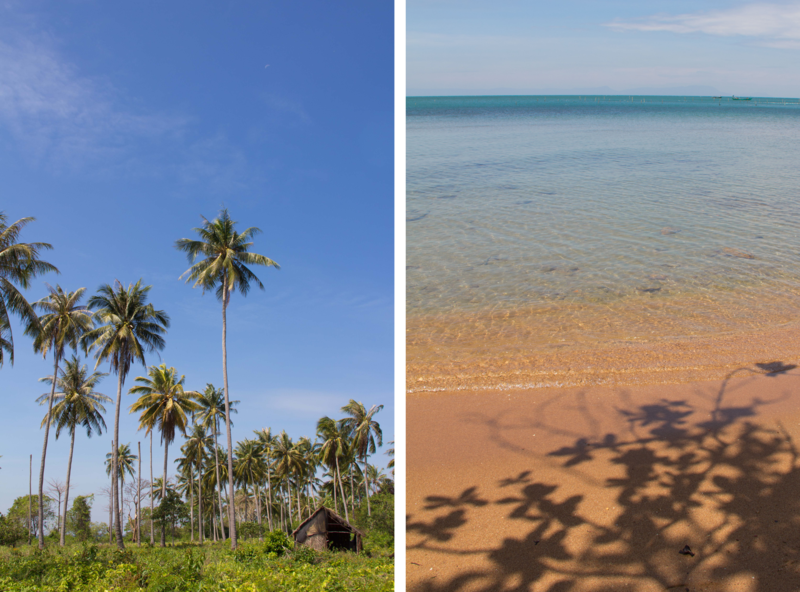 There might not be a lot to do here, except to drink beer with the locals, eat fresh crab, and visit Rabbit Island for the aforementioned bungalows and beach walks, but still – highly recommended. 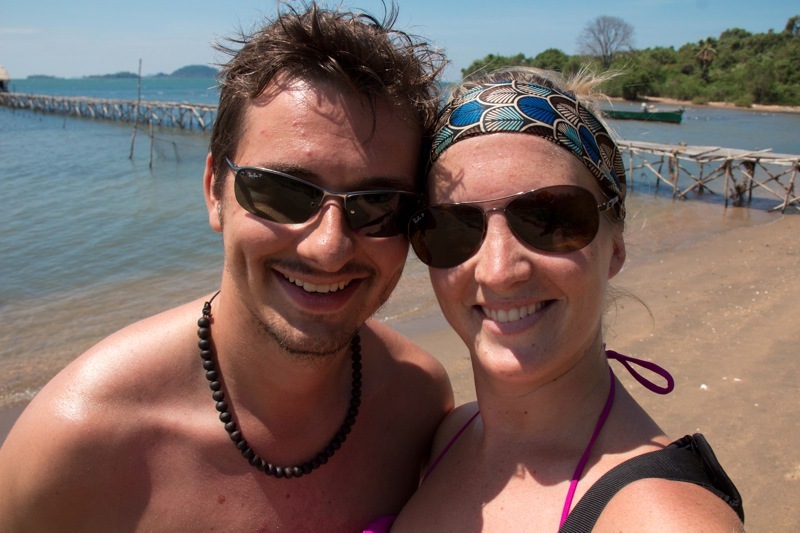 Seeing as the internet is so so fast here at our beautiful hotel in Phnom Penh, I thought I might share a few recent photos of us that haven’t made it onto the main page. Hopefully you will all note that the skies are (mostly) blue, the delta was green, the water is crystal clear, and that our tans are developing nicely! After only a few hours sleep overnight on Rabbit Island, I was very happy to wake to birds chirping, roosters crowing and the sun shining, on what was a glorious Monday morning. Actually, I only just realised it was Monday yesterday, so I’ve clearly lost track of the days finally. And to forget that it was a Monday, of all days, as I slept in, read a book, and enjoyed a late breakfast – my, what a better way to spend a Monday opposed to working! We eventually got up at about 9am, and decided to make the three hour trek around the entire island. It was considered the day before, but as I wasn’t feeling too well it was postponed in the hope that the weather would be kind to us the next day as well. And it was. So first up, we filled our bellies with the only breakfast option available – pancakes! Nutella pancakes! Thank you, Monday! Setting off at about 10am, we circled Koh Tonsay through mini jungles, across rocks and seaweed, and along empty beaches. The weather was sublime, the breeze was cool, the few locals we met along the way were charming. As we walked, we discussed how easy it would be to arrive on Rabbit Island and go undetected for as long as you wished – either pay upfront for a month in a bungalow, never to be disturbed, or rough it in the jungle, and no one would know you were there. There’s no internet, no hot water, and only limited electricity. If you are happy with Nutella or banana pancakes, then you’ll be satisfied with the breakfast options. There was also a shortage of crabs while we were there, so sometimes you might have to have fish instead. But really, you could escape to Rabbit Island and never be found again. But I digress. The walk only took 90 minutes, so we were back before lunch. Maybe we walk very quickly, or maybe it’s just the skewed perception of time and distance that people have in these parts of the world. Either way, it was time for a cold drink, a cool swim, a brief sun bake, and a quick massage. We sat at one of the small bamboo shacks on the beach and had banana shakes, and pulled faces at a 5 year old local boy (photo included). A quick dip in the cool water got the sweat off our backs, before we air dried ourselves on the sun lounges under the palm trees. Then right there on the beach, there are a few options for massage – coconut oil, Thai massage, Khmer style – but we went for the coconut oil option. An hour later, my brow was un-furrowed, the knots in my shoulders were gone, and I could walk without leg cramps again. Bliss, bliss, bliss. Then onto lunch, with the freshest ingredients you could imagine. I had a fish curry with ‘fresh coconut milk’ – and the cook went over to a pile of coconuts sitting at the base of a tree and selected the ripest one for my curry. Amazing. Jamie ordered crabs with lemon pepper, and a moment afterwards we saw a woman wading out to get the crab bucket from the water. They pulled out 6 or 7 small local crabs and carried them into the kitchen for cooking. Minutes later, a fresh and very tasty lunch was delivered to our table – absolutely awesome. My curry was delicious, perfectly seasoned with the local pepper, and Jamie devoured his crabs. Slowly, I might mention, because neither of us have extensive experience with prying meat from a tiny crab shell! By 2.30pm it was back to the sun lounges for a post-lunch rest before the boat whisked us back to the mainland. It was a brief, energetic yet relaxing time on Rabbit Island, which may not stay so untouched for much longer. 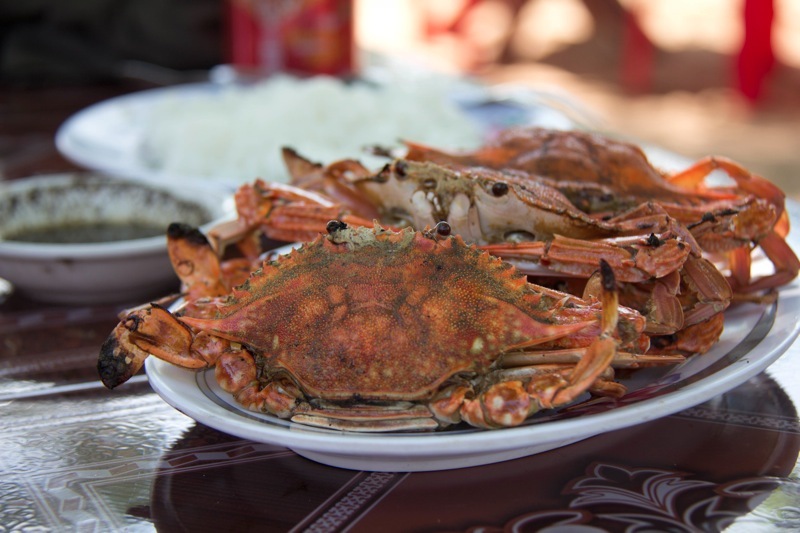 If you’re ever in the south of Cambodia, do stop by for a swim, a walk, a massage and some fresh crab. Simply divine. Once back on the mainland, we decided to hang around in Kep to watch the sunset with a couple of local Angkor beers before heading back to our bungalow at Botanica. But more on that in the next post! 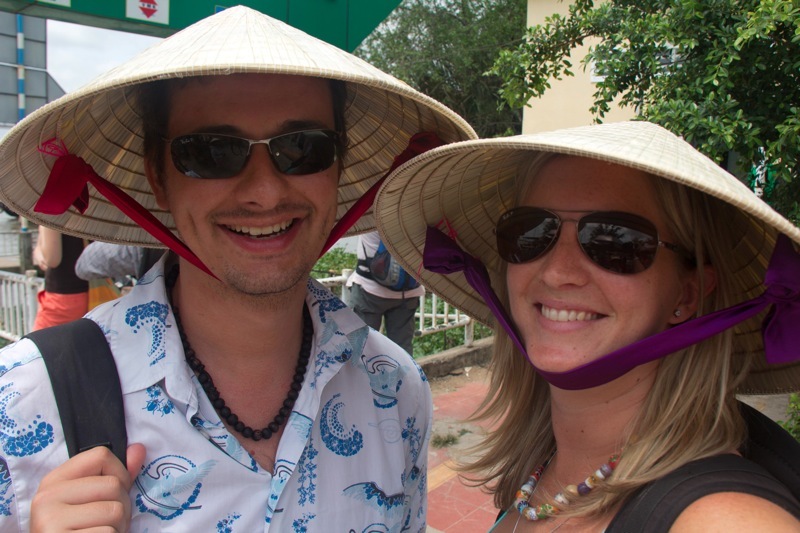 After 3 weeks, it’s time to say goodbye to the coastal country of Vietnam and jump the border into Cambodia. 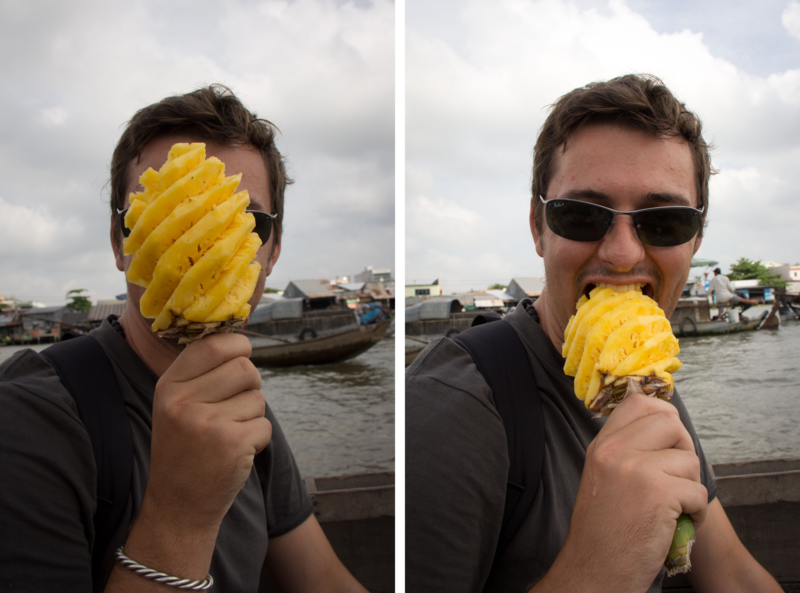 We’ve covered most of the length of Vietnam – from Hanoi and Halong Bay to Saigon and Phu Quoc Island – and it seemed to get better the further south you went. Maybe because the weather improved, or because we had more beach time in the second and third weeks – either way I’m glad we had the time to see so much of the country. 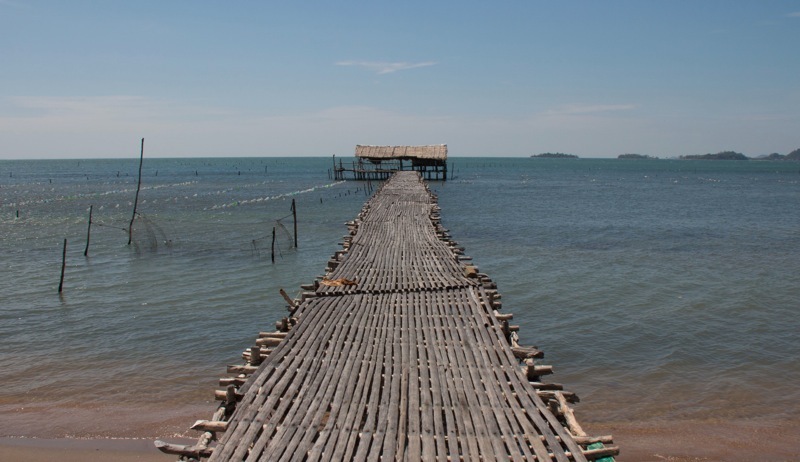 Today we depart Phu Quoc Island for Kep, which is just over the border in Cambodia. To do this, we catch a taxi from our hotel on the western side of the island over to the eastern side, take a ninety minute boat ride to Ha Tien, a border town on the coast Vietnam, then get a minibus across the border, sign all the necessary paperwork, and arrive in Kep by mid afternoon. With only 11 days left until we need to head back to Thailand for our next flight, it was time to make a decision about where to spend out time in Cambodia. 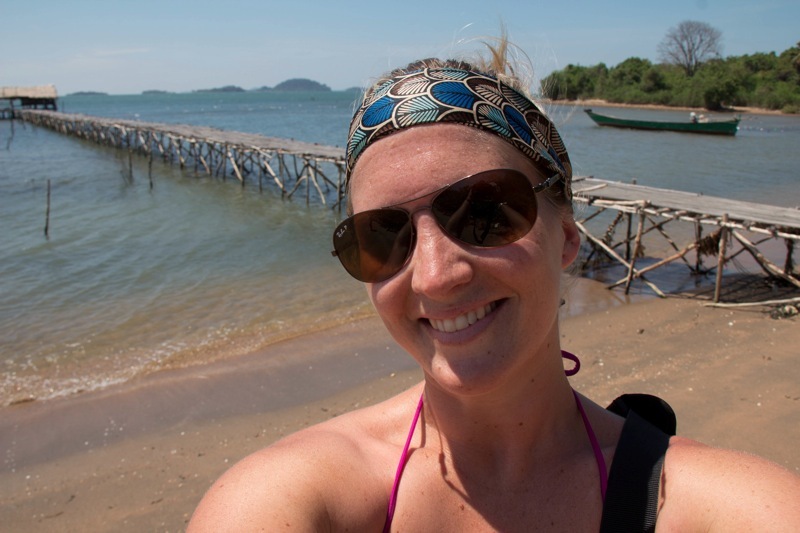 After much deliberation, it was decided to focus our time mainly in Phnom Penh and Siam Reap, with 3 days at the beginning in Kep and Rabbit Island. Unfortunately we’ll miss Sihounakville and Battambang, two places that we’ve heard really good things about, but seeing the Killing Fields in Phnom Penh and Angkor Wat in Siam Reap get priority so we’ll just have to come back to Cambodia another time!